The rapid growth of renewable and distributed energy generation sites is a good thing. In fact, we need a lot more of these in our future. But this new model also creates an unintended consequence: as our distributed energy resources expand, it gets harder to measure the quality of our electrical power. To do this, one needs a tool known as a Power Quality Instrument (PQI), but not all power metering devices are created equal – read “Power Quality Instruments (PQI): An Overview,” which describes some new International Electrotechnical Commission (IEC) standards that help electrical contractors and specifiers choose an appropriate PQI. The need for PQIs is a direct result of modernized electrical systems and the digitized equipment connected to them. 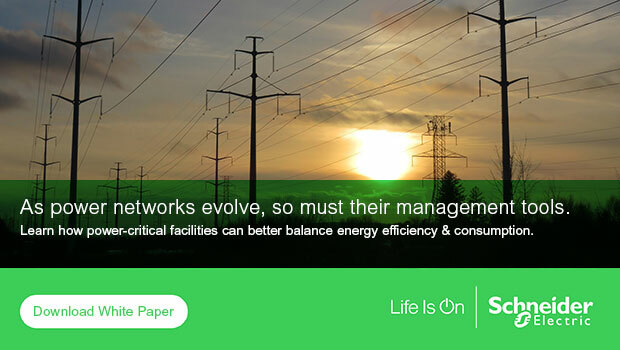 Utility power distribution has expanded from a centralized generation model to include renewables, often on a smaller scale and far more distributed design. This new model fundamentally changes the electrical signatures flowing in the system, an alteration that creates an increasing and urgent need for accurate power quality measurements, and at more points within the distribution network. Digitization of electrical metering is another factor driving the need for consistent power quality measurements. While most digital electric meters can report on some PQ metrics, these measurements can differ substantially depending on the manufacturer. The need for standardizing how power metering devices measure electrical power is not new. For example, the international power quality monitoring standard IEC 61000-4-30 was first published back in 2003 and has seen a few revisions since then. Today, most reputable manufacturers of power metering devices have products that comply with this standard. This standard focusses primarily on power quality measurement methods but it does not address the need for a standard process to verify the implementation of IEC 61000-4-30 compliant power quality measurements. As a remedy, the IEC recently created the two-part IEC 62586 series of standards. Part 1 (IEC 62586-1) defines a comprehensive PQ device product standard, known as PQIs. It outlines safety, electromagnetic compatibility (EMC), climatic, and mechanical requirements, all to ensure the tool is suitable for installation within the often-severe environment of a power station or substation. Part 2 (IEC 62586-2) defines the functional tests, procedures, and conformance levels intended to verify compliance with the PQ measurement methods specified in the 4-30 standard. This addresses the main shortcoming of the original 4-30 standards, and ensures manufacturers conform to the same specifications. As our energy production and distribution systems change, we need to take power quality monitoring more serious. A PQI is the most reliable and robust way to evaluate that quality, but only if the instrument complies with these latest set of standards.